Owner at Purfectly Painted Furniture in vicksburg, MS.
By Joy Solomon, Owner at Purfectly Painted Furniture in vicksburg, MS. This small desk vanity was brought back to light using General Finishes Milk Paint Coral Crush. This vanity was refinished in Queenstown Gray by General Finishes and General Finishes Winter White Glaze dry brushed on. This dresser was already in excellent quality condition it just needed some serious color to it. 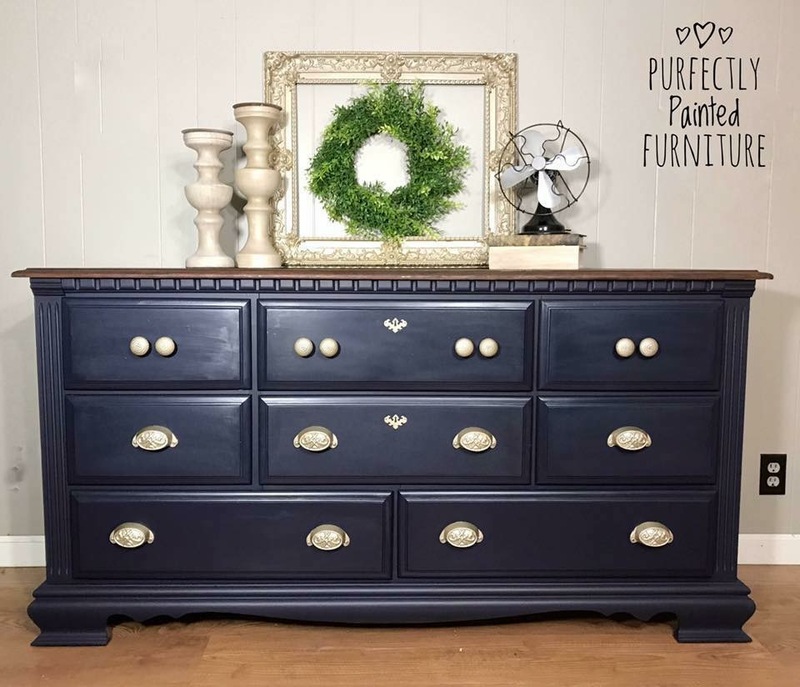 So I used General Finishes Milk Paint in Coastal Blue. The top was stained in Walnut.